Unibet is kicking off Season 11 with a fantastic event at The Poker Room at London’s iconic Victoria Casino. Unibet Open London is hoping to break records for the £990 Main Event which last year attracted 419 entries, creating a £377,100 prize pool. Unibet Open London starts Monday, February 19 and runs through to February 25. 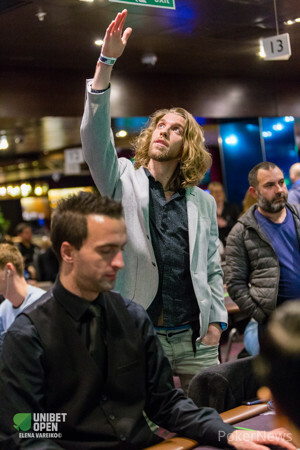 Among the star players set to compete this year are Unibet Ambassadors Ian Simpson (the 2013 Irish Open winner and UKIPT London runner-up), Rauno “Estonian Jesus” Tahvonen (pictured left), Dara O’Kearney, David Lappin, Daiva “BalticBlonde” Byrne and Espen Jorstad along with two-time Unibet Open champions Dan Murariu and Mateusz Moolhuizen. MainEventTravel.com has lots of great hotel options near the Vic including the Marriott next to the Vic and the luxurious Hilton Metropole near Edgware Road tube station. The schedule features 17 different tournaments including a two-day £2,200 High Roller, £220 Turbo Bounty tournament, £330 Unibet Open Deepstack and a special £110 Ladies Event hosted by Daiva Byrne. There is also a special £10k invitational freeroll – the “Battle Royale – involving Unibet-sponsored eSports players. This will be Unibet’s seventh visit to London and, if the last three events in the capital are anything to go by, it promises to be a huge success. Last year’s huge Main Event prize pool of £377,100 was shared among 62 players. Gerret Van Lancker from Belgium was crowned champion, winning a total of £71,950. Overall, there were more than 1,100 entries across the five-day festival with £554,200 awarded in prize money. Van Lancker will be back at the Poker Room to defend his title, along with former Unibet champions Quentin Lecomte (Cannes) and Peter Harkes (Riga). Unibet Open London runs February 19 – 25 and will feature a ton of fun off the felt including Welcome Drinks and Players Party - as well as an action-packed poker schedule.